Carrying excess weight can have an impact on your body – and also on the skin. Losing weight can help you feel better and be healthier, but it can also have some unwanted side effects. While you may be thinner and fit back into the sizes you once were in your clothes, your face also shrinks, but not necessarily the skin. An unwanted effect of losing excessive amounts of weight for some people is sagging, loose skin on the face and neck that can make them look older. Once fat is lost, the skin does not always bounce back to its former shape. This is true on the body, and it can be very visible on the face and neck. A slimmer body and face can be left with sagging, loose skin. In some cases, it can make the person look years older. While some tightening can be accomplished with laser treatments for the skin, it will not reduce the excess skin. The best option for removing and tightening excess skin on the face and neck from weight loss is plastic surgery. 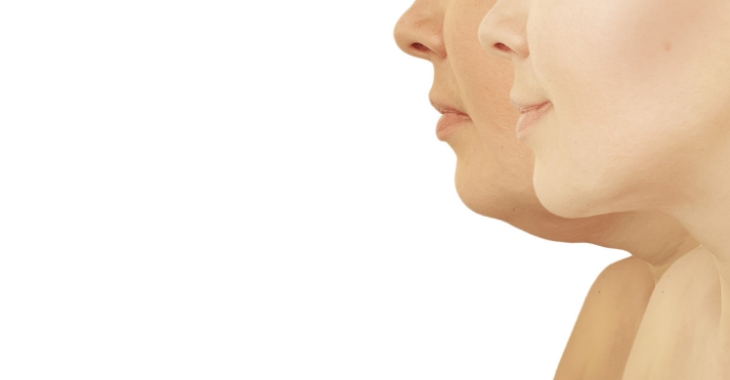 With a facelift and neck lift, excess skin can be removed, and the skin tightened and elevated. This can combat the drooping or sagging appearance that ages the face, tightening both the skin and adjusting the tissues underneath to restore a more youthful look to the face. If you have lost weight but are unhappy with the changes to your face, a facelift or neck lift may be the best solution to regain a more youthful, healthy appearance. Contact a facial plastic surgeon to learn more about these procedures and how they can help minimize loose skin caused by weight loss. Next post: When Is a Skin Problem an Emergency?